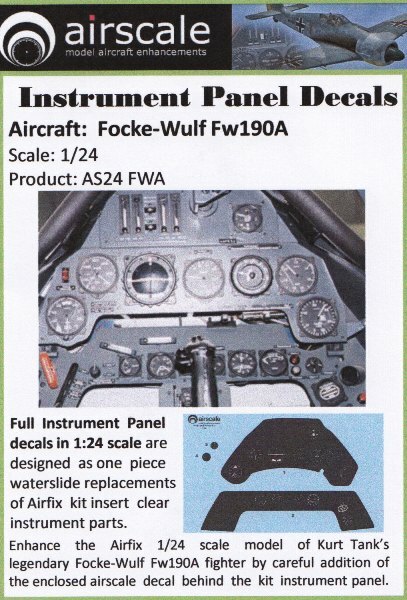 Amazingly, there are still kits on the market that do not cater adequately for instrument panels. In the larger scales, this area always gets a lot of attention from the viewer. Sometimes the manufacturers supply a plastic option with indistinct detail. 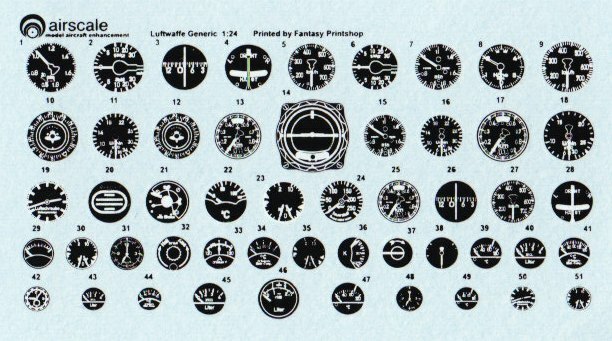 Other times it’s a simplified nonspecific dial that bears little resemblance to the real thing. 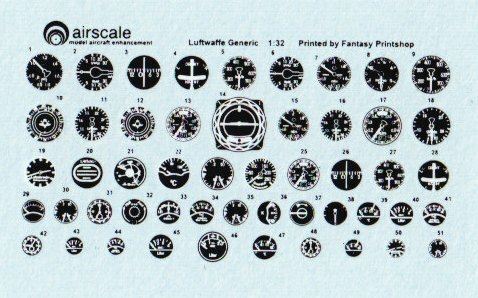 These releases from Airscale will address any deficiencies in your kit. The printing of all items is first-class with everything sharp, legible, and in perfect register. 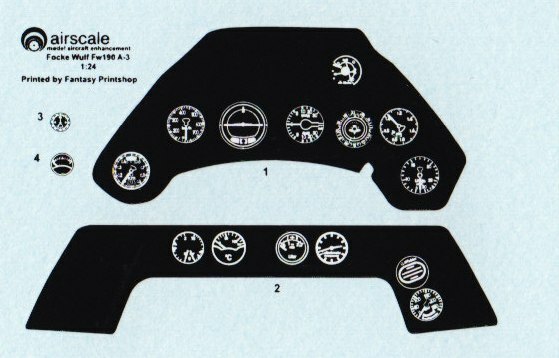 They way the instrument panels work is simple. Create a backing of plastic sheet that is matched to the shape of the kit part. 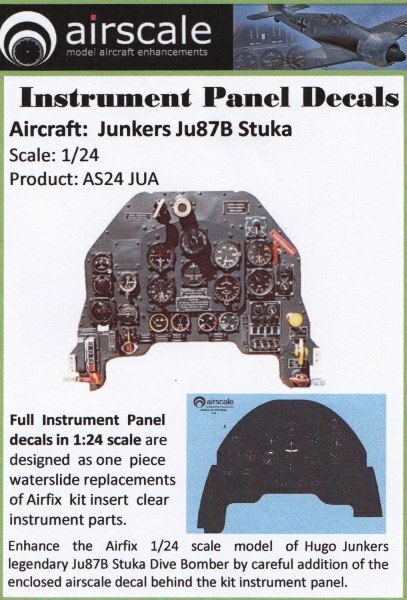 Place the decal face up onto this template and cover with the supplied clear sheet. 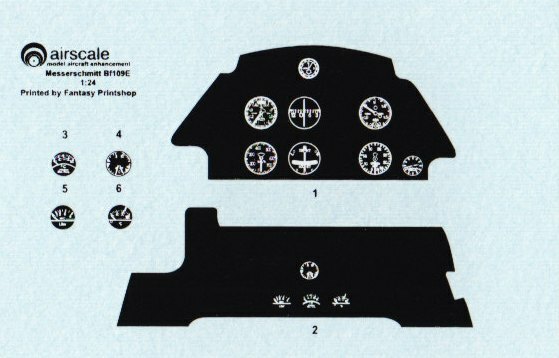 Thin and clean up the dial holes of the plastic item and place over the sandwiched assembly. 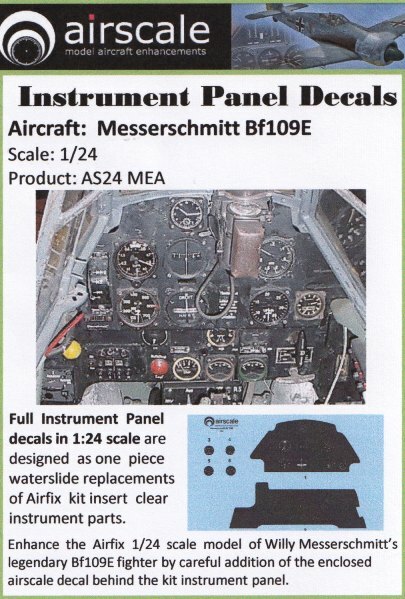 Items 1 to 3 are all specifically designed for the respective Airfix kits. 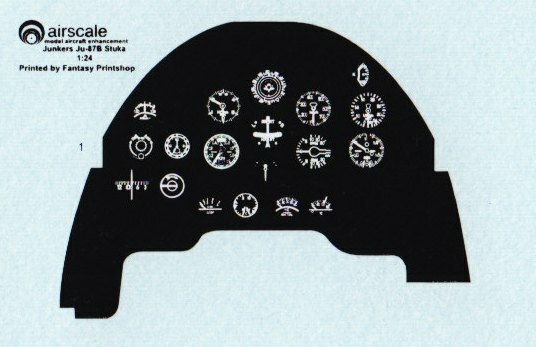 The “Emil” also gets correctly sized dials for the lower panel and the “Butcher bird” has enhancements for the side consoles. The generic dial decals can be used on a backplate behind the kit panel or applied over the top of the kit part. 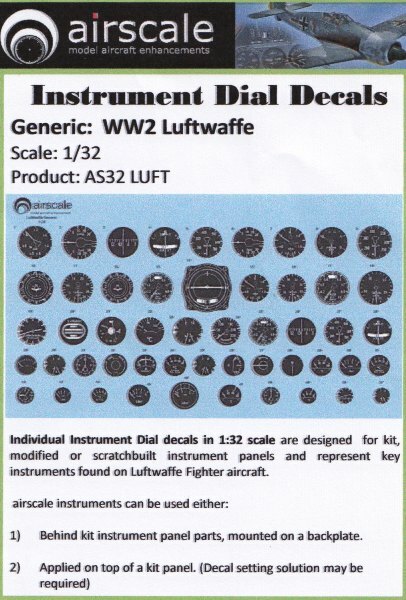 They are individually numbered and described on the instruction sheet so there won’t be any confusion as to what instrument is represented. With only a little bit of work from the modeller, these releases are ideal for detailers and scratch builders alike.